Contrary to popular opinion, it is possible to change one's credit score in the short time between when most people decide to buy a home or refinance their mortgage and when their loan is submitted for approval. Our agents at Castle Funding Corp. (NMLS #289925) . are experts at detecting, and correcting, erroneous items which adversely affect a borrower's credit. On virtually every one of the credit score changes that we have accomplished, the borrower ultimately qualified for a better loan program than was previously available to them. Escrow periods are generally short however, so take some steps before you decide to refinance or purchase a home and you'll be glad you did. The earlier you think about pre-qualifying for a mortgage, the more we may be able to assist you in taking steps to improve your credit score. The first step is to make sure that the information each of the three credit reporting bureaus has on you is consistent and up to date. Order a copy of your credit report about once a year, and dispute any inaccuracies. You can obtain a free copy of your credit report at www.annualcreditreport.com. If you find an inaccuracy, call the creditor directly and insist that they issue a correction. You have the Federal Fair Credit Reporting Act to back you up. However, don't wait for the creditor to make the change, even if they agree that the item is an error-they rarely have the motivation to do so quickly. Obtain a letter directly from the creditor stating how the corrected credit item should read. Give this letter to your agent at Castle Funding Corp. (NMLS #289925) . and we will do the rest. Through our credit bureau, a "Rapid Resolve" can be obtained through the three major reporting agencies. This method of access and the procedure for quickly correcting your score is a specialty of our approved credit reporting company. Reapportion your debt. You may not need to pay off all of your credit debt to improve your score, though reducing the amount owed on some cards will usually raise your credit score. The three major credit bureaus, TransUnion, Equifax, and Experian, look at the "utilization rate", both on individual accounts and your total debt versus available credit as a whole. The best utilization rate is 0%. However, a more practical use of this formula is to know that the second tier that counts for the highest scoring factor is 30%. This means that if you have a $10,000 limit on a credit card, a $3,000 balance or less, paid on time, represents good debt management, and will reflect a good score. If you owe $9,000 on that card however, your credit score is being compromised as you're at a 90% utilization rate, and red flags are going up! You may increase your score simply by reapportioning that same debt to other cards. Forget the fact that these other cards may be at a higher interest rate than the current one. That is a small cost in comparison to the thousands of dollars you will spend in higher loan rates due to a low credit score. In the previous example, score should increase substantially if you are able to reapportion the $9,000 in debt to three other cards with $10,000 limits, thereby achieving the desired 30% "utilization rate". Do not close positive credit lines. If you have paid your creidt care bills on time, don't close the line in the hope of raising your credit score. The opposite can happen. By closing positive credit items you are raising your utilization rate by lowering the available pool of credit against which your existing debt is compared. When the ratio of outstanding debt to available debt increases, your score will definitely take a hit. You are also curtailing your good credit history with that creditor, who has reported you as a good debt manager. The longer this positive item stays open, the higher the scoring factor attributed to that account. Resist the temptation to "juggle" debt between cards. In order to take advantage of low "introductory" credit card rates, an individual may pay off one credit card with another, lower interest card. This activity can lead to a lower credit score. Don't forget, the credit scoring models look for stability in one's debt management habits. Older accounts which are paid "as agreed" are worth more than new accounts, which can look like a scramble to finance a debt-heavy lifestyle. Never exceed your credit limits. If you are maxed out on a line, be careful that the monthly interest charges don't cause the balance to exceed the allowed limit. This will affect your score negatively. Pay your bills on time. This may seem self-evident, but if you are having trouble managing your debt, contact your creditors directly to work out a solution. So called "credit counselors" who promise to make the phone calls stop can do your credit irreparable harm.  To a mortgage lender the use of a credit counseling service represents an admission that you cannot handle your credit responsibly. People who have declared bankruptcy and made a fresh start achieve higher credit scores sooner than someone who has been in a prolonged "credit mediation program". Theoretically, if a series of credit reports is requested on your behalf during a limited amount of time,your score goes down until time passes without any inquiries. Changes in the law though have made"consumer-originating" credit report requests not count so much. Also, a series of requests in relationto getting a mortgage or car loan is not treated the same as a number of credit card requests in a limited time. This is because the credit bureaus, and lenders, realize that people request their own credit reports to keep up with what's on them, and smart consumers shop around for the best mortgage and car loans. The individual credit bureaus can be reached via the web at www.transunion.com, www.equifax.com, and www.experian.com.